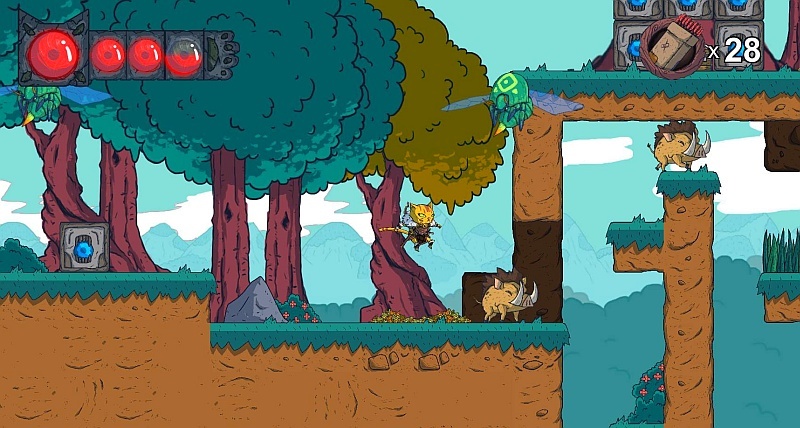 Developer Description : Hunter’s Legacy is a 2D single-player platform action game made up of characters and worlds from Universe of Something, a concept of a connected world that would span different games. The game is inspired by classics that we grew up playing and is a simple yet fun title designed to challenge gamers of any kind. In Hunter’s Legacy, you control Ikki, huntress of Un’Amak, a bipedal cat equipped with a variety of weapons and abilities, including swords and bow and arrows. Slash your enemies with your mighty twin swords! Aim your bow and charge your attacks to deal even more damage! Upgrade your weapons for even fiercer attacks! Roll out of the enemies’ way to counter-attack! Unlock more abilities as you progress! Enemies come in many forms and sizes! Discover hidden areas and secrets in every level! Collect treasure that you can exchange for power-ups! Meet multiple characters that will aid you in your quest!